The Nigeria Union of Petroleum and Natural Gas Workers (NUPENG) has blamed the federal government for the protracted scarcity of petroleum products in the country, describing government explanations as window dressing. The union also said while it recognised the fraud in the fuel subsidy regime, it would resist any attempt by government to remove subsidy until necessary palliative measures were put in place to reduce the impact on the populace. The were part of decisions reached by the union at its national executive council (NEC) meeting held in Port Harcourt yesterday. Presenting a 10-point communique issued at the end of the meeting to journalists, the President of NUPENG, Igwe Achese, decried the perennial fuel scarcity currently being experienced across the country and said government was not telling the people the truth. 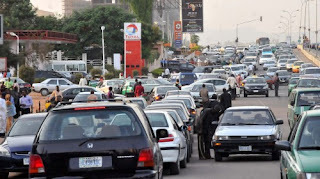 Achese attributed the cause of fuel scarcity to the manner federal government managed the subsidy, stressing that NUPENG was watching how the policies were implemented. He declared: “The union condemned in its entirety the perennial and persistent fuel scarcity in the country and the hardship imposed on the masses, especially at this festive period. “The current way and manner the subsidy issue is being managed is responsible for the fuel scarcity experienced across the country,”, he added. The union advocated that the Nigerian National Petroleum Company (NNPC) should be directly involved in the importation of petroleum products into the country. It said would enable the federal government to effectively checkmate the subsidy scam and bring down the cost of petroleum products at filling stations. Achese also called on the federal government to declare a state of emergency on the downstream sector of the oil industry, adding that government should become the sole importer of oil through the NNPC. Achese stated that the union would support the removal of petroleum only after the government had effected complete turnaround maintenance of the four refineries in the country to cushion the effects on hardship. The union also expressed concern over the deplorable road networks across the country, which, it claimed, “have become death traps” and called for speedy rehabilitation of the roads. Speaking on the Petroleum Industry Bill (PIB), the NUPENG President reiterated their support to any bill that would check corruption, address lack of transparency, accountability and good governance. NUPENG also called on the federal government to overhaul the judiciary and anti-graft agencies, adding that it was prepared to fight corruption in the oil industry.